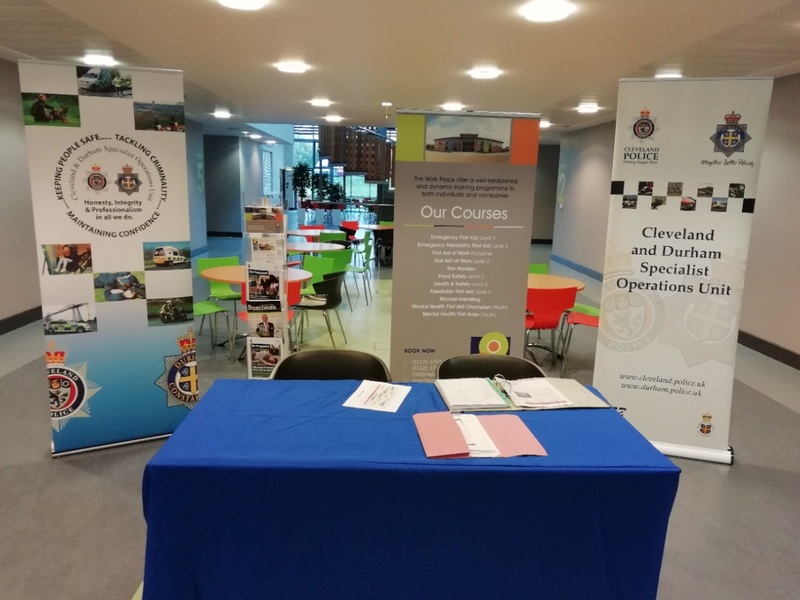 During the month of October, The Work Place played host to Durham Constabulary and Cleveland Police in the delivery of their Wise Drive event for over 1000 County Durham secondary school students. Wise Drive is an annual road safety educational event aimed at Year 11 pupils within County Durham & Darlington who will soon reach the age where they can attain a driving licence. Topics include the dangers of drink-driving, not wearing a seatbelt, speeding and distractions in vehicles. The event, which has now been running for almost 10 years, is organised by The Casualty Reduction Team, part of the Cleveland and Durham Specialist Operations Unit (CDSOU). It coordinates and supports road safety activities throughout County Durham and Darlington, working with partner agencies, neighbourhoods, educational establishments and businesses with the aim of making the region’s roads safer. To find out more about The Work Place and their facilities, please visit their website or give them a call on 01325 375 900.